Pet Sitter is an easy-to-use powerful tool, perfect for those who run pet-sitting or dog-walking business and for those who simply want to take care of their animal companions properly. A comprehensive solution, the program allows creating the database of pets and events planned. 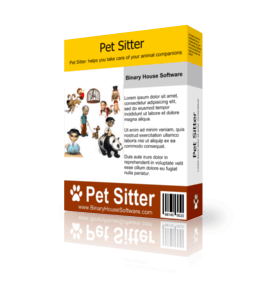 It is absolutely essential for pet sitters and dog walkers, as it provides them with a tool to organize the business and to manage it effectively. It will also be of a great help for zoo-keepers, circuses and farmers. You can store any information on the pets, including medical records from veterinarians, the pet’s personal diet and favorite toys, and more. Add as many comments as you wish, including pictures, certificates, vaccination and so on. If you are into the pet-sitting business, you know that sometimes it is impossible to keep in mind every detail about the pet you take care of. But just imagine how wonderful it would be, to have at hand all the information you need! That’s when the Pet Sitter comes in especially handy. You can also add names and addresses of the owners of the pets. The program features search by the owner’s name and by the pet’s name. 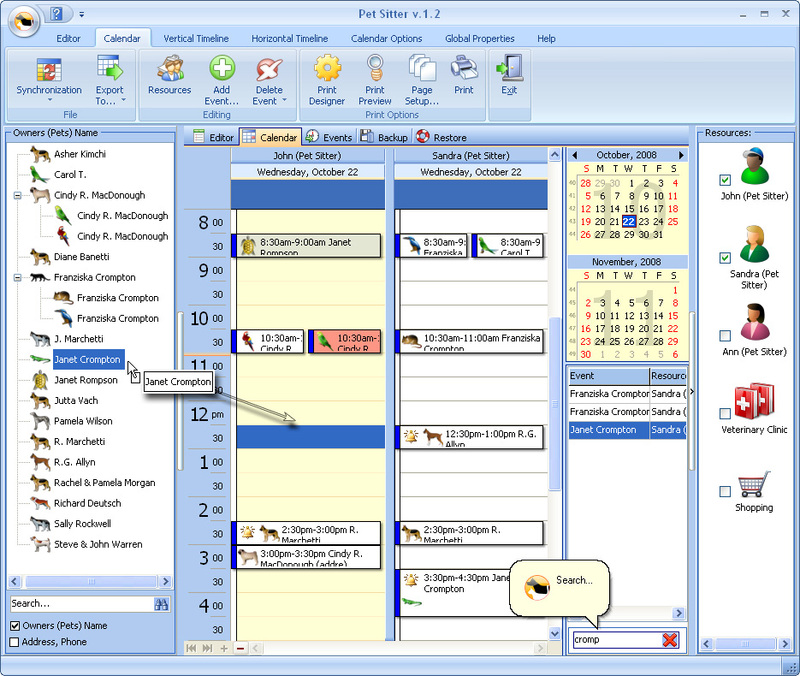 Besides, the built-in calendar makes it extremely easy to plan pet-sitting schedule. It will also remind you when it’s time to feed the pets or to visit a veterinarian. Pet Sitter enables a user to save the price of the order; statistics for any period of time can be provided, which is convenient while preparing a report. The software supports most of the formats, including HTML, therefore importing information from web-sites, forums and conferences is very simple. The program is designed to enable the communication between different scheduling applications. The user-friendly interface and lots of useful features of the Pet Sitter ensure saving time and effort and for the quality pet sitting! You pay for the program only the first time and get all new versions of this program for FREE and for lifetime!